Vince Gironda Natural Bodybuilding Secrets Revealed! When I started my journey in natural bodybuilding I was eager to find as much information as I could about how to get the quickest bodybuilding gains. I read countless of books and magazines trying to get the information that would get me to where I wanted to be. Among the many experts that I read from, one that always intrigued me was Vince Gironda as he always had some interesting way to stimulate new muscle growth. I remember buying his old mail courses and how excited I would be when I would get it in the mail. It seemed like Vince had an answer for everything! 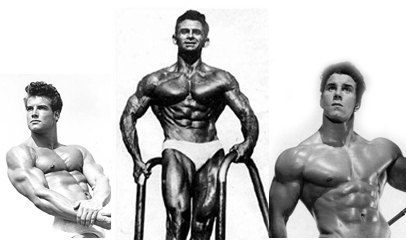 In case that you are new to the bodybuilding game, Vince Gironda was known as the Iron Guru, and by the early 1950’s he was already trainer to many of the top bodybuilding champions and Hollywood Stars of the time. Some of the top bodybuilders he trained include Larry Scott (1st Mr. Olympia), Lou Ferrigno (“The Incredible Hulk”), Frank Zane, and even Arnold Schwarzenegger! A short list of stars who trained at Vince’s Gym includes Cher, Clint Eastwood, Denzel Washington, Tommy Chong (of Cheech & Chong) and Erik Estrada. Vince was not only a great natural bodybuilding himself, but also an incredible trainer that was way ahead of his time. He claimed he could get a person in shape faster than anyone through the implementation of unorthodox concepts like the 10 sets of 10 routine, which he was using way before many others had figured it out. At any rate, I tried many of Vince’s bodybuilding routines with great success and I was saddened when he passed away in October 1997. He was a man with a vast amount of bodybuilding knowledge, and while I do not agree 100% with everything he had to say, one thing that I can guarantee you is that if you read something coming from Vince you will learn something practical that you can apply to your workouts with great results! In addition, many of his courses did get me past many plateaus that I was experiencing in my early years of bodybuilding. It was a great surprise when this year I came across a new e-book put together by Alan Palmieri and published by my friends from CriticalBench.com that compiled a lot of the bodybuilding knowledge from Vince Gironda! The ebook is called: “Vince Gironda: Legend and Myth“. After more than two decades of practicing bodybuilding and reading hundreds of bodybuilding books and magazines (as well as writing more than ten books myself), there are very few new books that get me excited. However, when I got this one I was as excited as I used to get when I would get one of Vince’s bodybuilding courses via mail order! 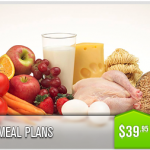 •Fat Loss Diets that will work for the most stubborn metabolisms. 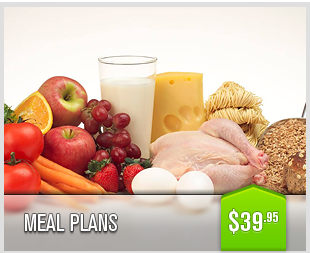 •Bulk up programs that even the most stubborn hardgainers will not be able to resist. •How to gain more by spending less time in the gym (something that I am a HUGE proponent of). •How to deal with bad genetics. •Avoid common mistakes that will bring your bodybuilding progress to a screeching halt! Another thing that I loved from this book are the great pictures and interviews of some of the other “Golden Era” bodybuilding stars like Don Howarth, my friend Dave Draper, Larry Scott, Bill Pearl, and others. In addition, you will also get the chance to learn obscure exercises that will throw your body in for a surprise, and as a result, will cause muscle growth! If you are like me and are a die hard bodybuilder (whether competitive or not) I think you need to have this piece of information in your computer. Vince’s knowledge played an instrumental role in my present muscle building and fat loss tactics. Best of all, this book will not break your piggy bank. Up until midnight Midnight October 14th, the book is going for just $24.95 and you also get some cool bonuses along the way! On top of that, it has a 60 day money back guarantee in case that you feel there is nothing in it for you (and I can guarantee you that there are many things over there for you). an incredibly good value for some seriously useful training info! Gironda was an eccentric guy (one can say) but also insanely smart and was really the “go to” guy of his time for many top bodybuilders and Hollywood actors. As I detailed in this review, the book is packed with programs you can try out, detailed nutrition information, exercises and exercise technique advice. Honestly, this is a treasure of training information…334 pages worth! Check it out and if you do, let me know what you think and if you are interested, be sure to get it by Friday, Aug 24th in order to take advantage of the special $24.95 price which is practically a giveaway! I’ve been surfing on-line greater than 3 hours nowadays, yet I by no means found any fascinating article like yours. Itâ€™s beautiful price sufficient for me. In my opinion, if all website owners and bloggers made excellent content as you did, the internet might be a lot more helpful than ever before. Leave a Comment with Facebook for Vince Gironda Natural Bodybuilding Secrets Revealed!